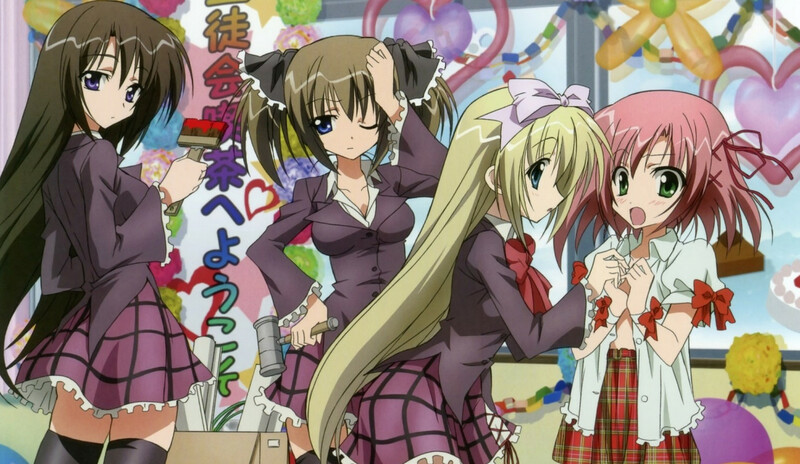 Sentai Filmworks Licenses "Student Council's Discretion Lv. 2"
Sentai Filmworks is proud to announce its latest acquisition, Student Council’s Discretion Lv.2. The direct sequel to season 1 of Student Council’s Discretion, this comedy slice of life series with animation production by AIC made its debut online before being broadcast on television, and aims to tear down the 4th wall brick by brick. Sometimes you have to think outside the box, but Hekiyo Academy’s Student Council may go a step further and rewrite their entire universe! At least, that’s what could happen as the second season gets underway and the Council decides that their own anime might need a little spicing up. Should they introduce new characters? Add a boy’s love subplot? Or should they just continue to do what worked previously and spend most of their time chattering between themselves while working towards odd goals that might turn out to have been a little misguided in retrospect? The answer is “yes” to all of the above and more: Class barriers and the fourth wall come tumbling down as a supporting character literally takes up the challenge of moving up to main character status. The plot thickens with the mystery of a missing cake. The boundaries of love between step-siblings get pushed just a few steps beyond what’s socially comfortable and there just has to be a hot springs episode, doesn’t there? Of course there does! Join 5 student council members in search of an author as the storyline runs amok in Student Council's Discretion Lv.2! Student Council’s Discretion Lv.2 will be available soon through select digital outlets with a home video release to follow.